A photograph of buses that transported passengers around a detour caused by the loss of the railway bridge caused by flooding in 1951. 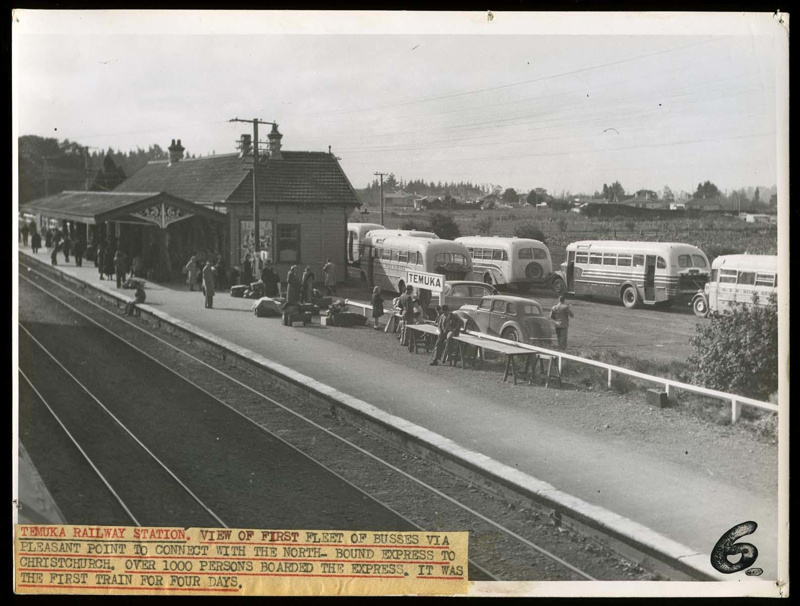 Shows a fleet of buses and passengers around the Temuka Railway Station. This was the first fleet of buses waiting to transport people via Pleasant Point to connect with the northbound express to Christchurch after the normal rail bridge was washed away in the floods of 1951. The printed label in the lower left states over 1,000 people boarded the express, the first train for four days.